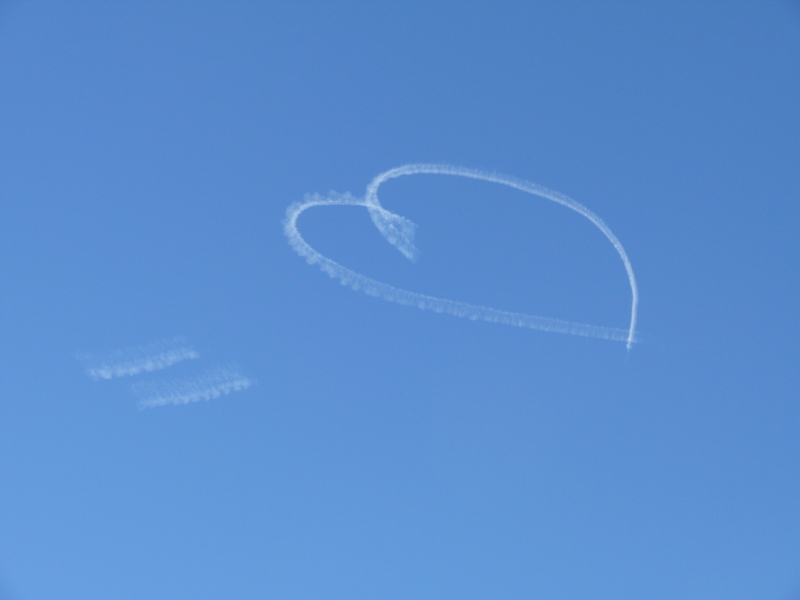 Hearts in the sky at Easter. Seems so right, somehow. Wishing you and your loved ones a peaceful, safe and (if you are so inclined) chocolate-ey Easter. Happy Easter, Selma. Be safe and blessed. Happy Easter to you too, Selma. Have a peaceful day. P.S. And thank you for all your recent visits to my place, and your kind comments. Your visits always make my day. My pleasure, Patti. I am a big fan of your writing. Great characters! Thanks Selma. The chocolate was plentiful here. I hope you had a nice holiday weekend as well. Plentiful chocolate – now that’s my kind of Easter. I had a very quiet Easter, which was good! Marie Antoinette and her sweet tooth….hahahaha. Thank goodness she didn’t have a fondness for frog’s legs 😆 Hope you had a wonderful Easter, Bluebee. Great to see you, Childwoman. I’ve missed you. Hope you had a lovely Easter! I was delighted to see the heart. I pretended for one girly moment tht it was there for me. It was like a fairytale. Hope you had a fantastic Easter, Tracey! Awwww! Happy belated Easter to you too Selma!